Paddles and balls are available for use. 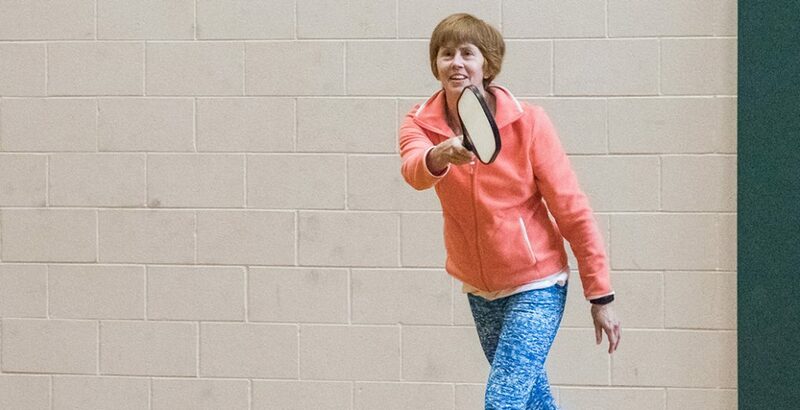 Pickleball is offered Monday-Thursday and Sunday morning’s. View the schedule for specific times. Mondays are intended for the intermediate players and Thursdays are intended for the beginner players, however all abilities are welcome to play any day.